People who slept for longer than the recommended duration of six to eight hours a day had an increased risk of dying or developing heart disease or stroke. Both sleeping too much and sleep deprivation could take massive toll on your heart, suggests a new study. The amount of time you sleep, including daytime naps, is associated with the risk of developing cardiovascular disease (CVD) and death, warned a new study published in the European Heart Journal. The team looked at a total of 116,632 adults aged between 35 and 70 for the results. People who slept for longer than the recommended duration of six to eight hours a day had an increased risk of dying or developing heart disease or stroke. "Our study shows that the optimal duration of estimated sleep is six to eight hours per day for adults," said Chuangshi Wang, postdoctoral student from the McMaster University in Canada. "Too little sleep could be an underlying contributor to death and cases of cardiovascular disease and too much sleep may indicate underlying conditions that increase risk," Wang added. Daytime napping too was associated with higher risks of death or cardiovascular problems in those with sufficient or longer sleep at night, but the same was not the case in people who slept under six hours at night as it compensated for the lack of sleep at night and mitigated the risks. Compared to people who slept for the recommended time, those who slept a total of eight to nine hours a day had a five percent increased risk of developing the disease. The findings said that people sleeping between nine and ten hours a day had an increased risk of developing heart diseases by 17 per cent and those sleeping more than 10 hours a day had a 41 percent increased risk of heart ailments. The researchers also found a nine percent increased risk for people who slept a total of six or fewer hours. For every 1,000 people sleeping six or fewer hours a night, 9.4 percent developed CVD or died per year. 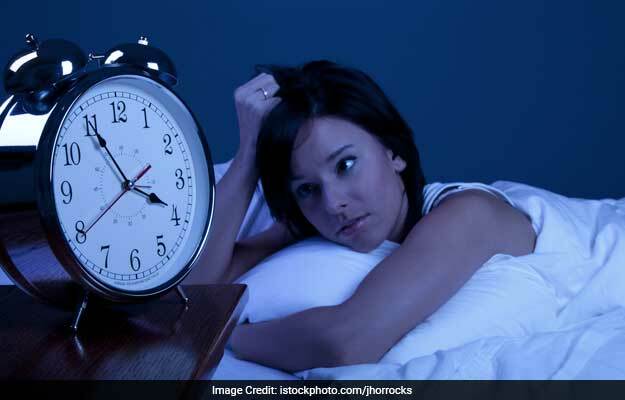 This occurred in 7.8 percent of those sleeping six to eight hours, 8.4 percent of those sleeping eight to nine hours, 10.4 percent of those sleeping nine to 10 hours and 14.8 percent of those sleeping more than 10 hours, findings further revealed. The foods that you eat could determine your sleep-wake cycle in a big way. Here are some foods you must include in your diet to have a sound sleep. Make sure you include more magnesium- and potassium-rich foods in your diet, they help relax muscles. It is also a good idea to include more foods that are loaded with tryptophan, which is an amino acid that converts into serotonin. Serotonin is known to have soothing effects in the brain and helps you sleep better. Another compound that also promotes a healthy sleep-wake cycle is melatonin that can be found abundantly in cherries. Include these foods in your diet and have a sound sleep!